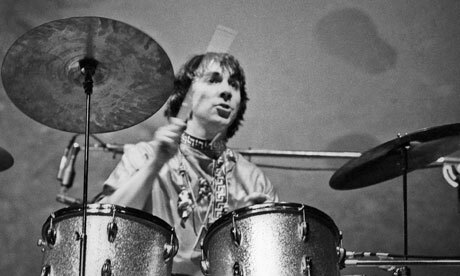 The London 2012 opening ceremony is going to be called Isles of Wonder, but there can be no wonderment more wonderful than the fact that Olympics organizers wanted Keith Moon to perform. Moon has been dead for 34 years. The drummer for the Who died in 1978 after ingesting 32 tablets of clomethiazole, a sedative he had taken for alcohol withdrawal symptoms. The band's manager, Bill Curbishley, told the Sunday Times he had been approached to see if Moon "would be available" to play with the surviving members this summer. "I emailed back saying Keith now resides in Golders Green crematorium, having lived up to the Who's anthemic line 'I hope I die before I get old'," came the excellent reply. "If they have a round table, some glasses and candles, we might contact him." For its part, the staff of the Guardian is just really looking forward to seeing Jesse Owens compete.